Designed by A. W. Tillinghast this is one of the most well known courses in America. For just $150 on the weekends, you can test your game against golf’s best players. The Black Course is rated 77.5 with a slope of 155, and the tour pros play it from around 7450 so it has a bit of girth. 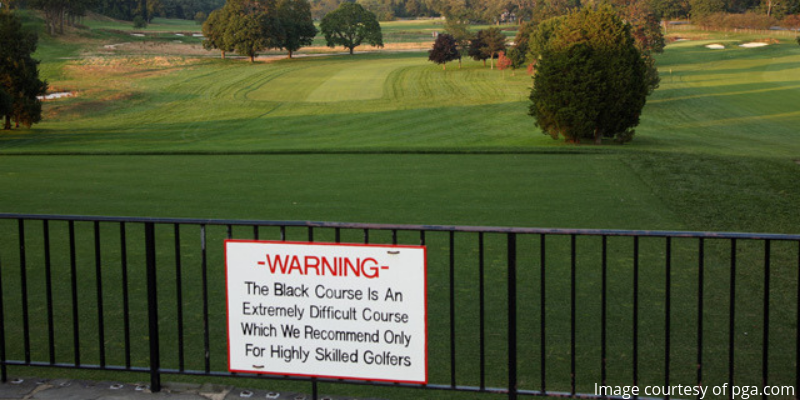 Bethpage was home to the 2002 U.S Open (Tiger Woods), 2009 U.S Open (Lucas Glover) and will host the 2019 PGA Championship this coming May. This spectacular test of golf along the Atlantic Ocean was designed by Pete Dye and Alice Dye back in 1991. This Oceanside round will cost you around $350, but some would say it's worth every penny (depending on how well you play). The Ocean Course tips out around 7800 yards with all the par 3s around 200 or longer. 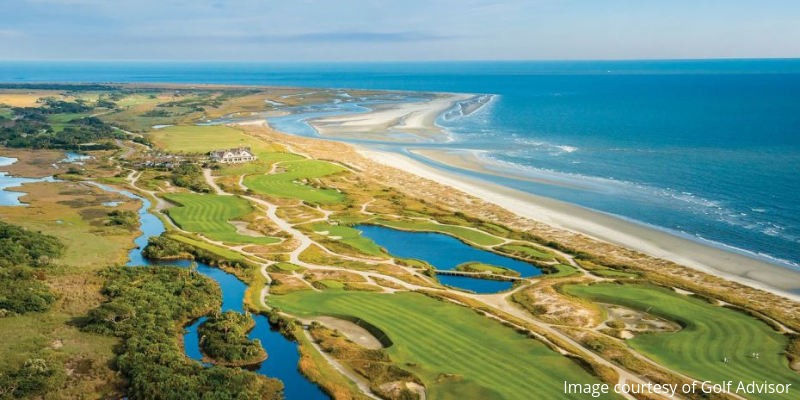 Kiawah has played host to 1991 Ryder Cup (USA), Senior PGA Championship (Denis Watson), and the 2012 PGA Championship (Rory McIlroy). One of the world's most famous courses finds its way on this list. 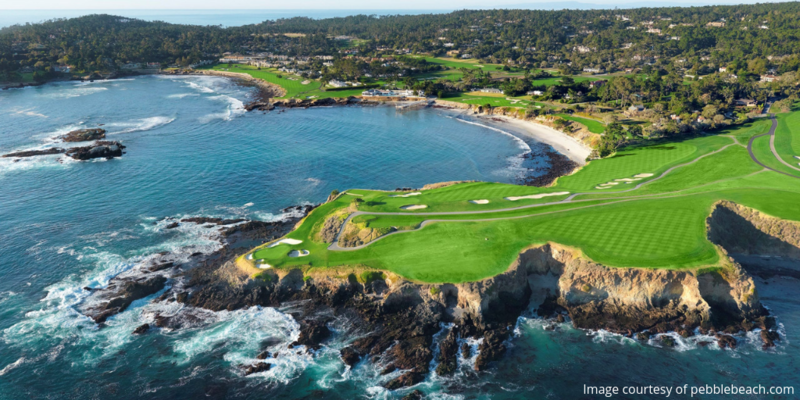 Pebble Beach is on many golfers bucket list as a must play, but can you blame them? The views alone will make your round worth it. For around $525 plus a caddie fee, you can play this amazing track on the Monterrey Peninsula. Pebble Beach tips out around 7000 yards but plays way longer. As you have seen on TV, the swirling winds and tricky greens can give any golfer fits. Pebble has played host to many big tournaments including the 1972 U.S Open (Jack Nicklaus), 1982 U.S Open (Tom Watson), 1992 U.S Open (Tom Kite), 2000 U.S Open (Tiger Woods), 2010 U.S Open (Graeme McDowell), 1977 PGA Championship (Lanny Wadkins), and this years (2019) U.S Open. Fourth on the list, we head up north to the land of cheese in the state of Wisconsin where we have the Straits Course at Whistling. It will cost you a pretty penny, $400 and is walking only so you must use a caddie! 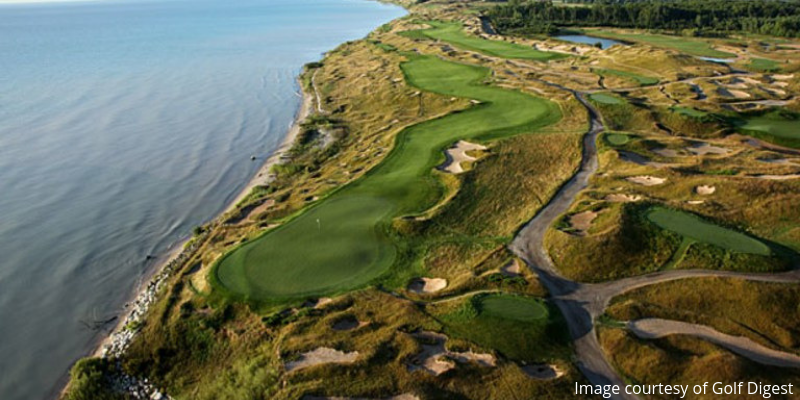 Whistling tips out at around 7800 yards and is a links style course sculpted along two miles of the Lake Michigan shoreline. Whistling has played host to the 2004 PGA Championship (Vijay Singh), 2010 PGA Championship (Martin Kaymer), and the 2015 PGA Championship (Jason Day). They also hosted the 2007 U.S Senior Open (Brad Bryant) and will be the site of the 2020 Ryder Cup! Honorable mentions: Torrey Pines South Course, TPC Sawgrass Stadium Course.